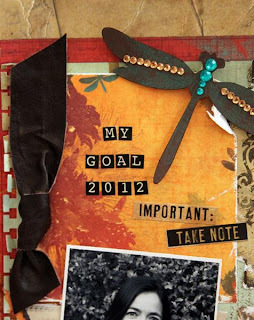 The BoBunny Blog: Goals 2012- Have you thought of any? Goals 2012- Have you thought of any? With only two days left of 2011, many of us have started making resolutions and goals for the start of 2012. Many scrappers around the world will be choosing their "word" for the year too. For today's post the DT were asked to scrap about their goals for the New Year. I have yet to set my goals but I have to say that both the projects I have to share with you today could be put on my list! 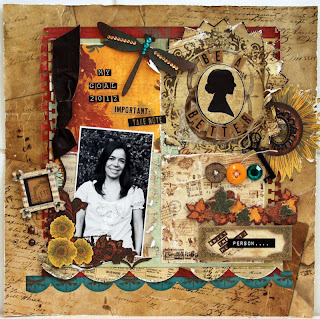 Luzma Bruna created this stunning single page layout by combining two Bo Bunny collections, Forever Fall and Etcetera. The colour combination is very striking! 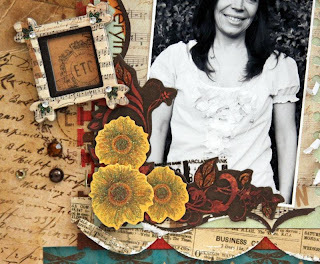 Did you notice how she placed her embellishments? In groups of threes and also repeating shapes by using them diagonally opposite each other. Do you notice that even the buttons are threaded? The next project I have to share is completely different! 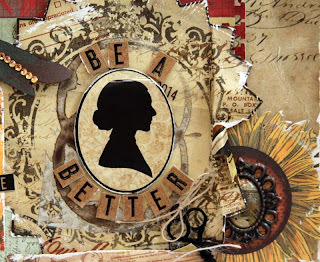 Robbie Herring chose to create a wall hanging which will serve as inspiration to remind her of one of her goals for 2012. The base of her project is cork board. 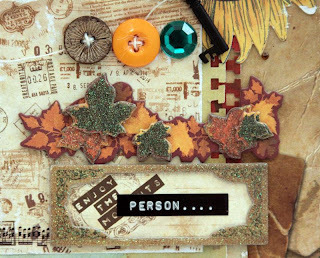 Notice how she used a variety of lettering types, this adds to the overall design and also adds interest. 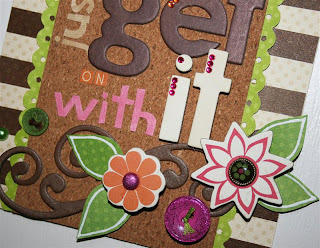 Did you see the use of the jewels on the chipboard letters? Robbie has also grouped her embellishments and repeated them by using them opposite one another. Have these projects inspired you? Please share your goals with us on the Bo Bunny Facebook Page. Awesome idea! This is a great way (and pretty to look at) to keep your goals in front of you! TFS! Robbie, love your goal, I think I need to make that one of mine too! lol! These ideas are really great and love the ideas that you shared :) Thanks for always creating amazing paper and can't wait to see what you do for CHA! 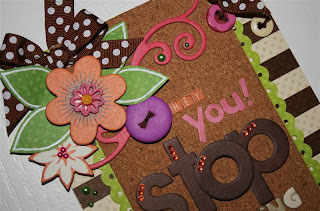 I love the cork board, what a fun idea to have "in your face" everyday! I need that kick in the arse every once in a while. Beautiful projects! Love the idea of scraping your resolution and to get it out there for you to see each day!